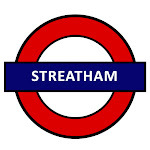 Streatham doesn’t have a tube stop. But, compared to some of the boring holes up North that have one – at least one – the wonderful town of Streatham is more than deserving. Visit the StreathamTube campaign website to see what’s going on. I grew up in Streatham. Streatham is an important part of who I am. Streatham would have benefitted enormously from a tube. Not just in the practical economic ways, but socio-culturally. Rightly or wrongly, there is a credence accorded to tube towns. It’s a badge of honour. A way in as well as a way out. THAT’S A METAPHOR. And it would have benefited me also. Where do you think the seeds of my rabidly murderous South London pride come from?! THE RELATIVE ISOLATION OF BEAUTIFUL STREATHAM IN THE 19motherfucking80s! TfL can mull over that when they watch news footage of me shooting up the House of Commons with my Napoleonic bicorne aflame in ragesome… flame. WORD. This entry was posted on March 10, 2010 at 2:27 am and is filed under FreeSouthLondon, London Underground, Revolution, South London, Streatham with tags Antiestablishmentarianism, FreeSouthLondon, Revolution, South London. You can follow any responses to this entry through the RSS 2.0 feed. You can leave a response, or trackback from your own site.